Climate change is already affecting many aspects of our everyday lives, including what we eat, where we live and the buildings we inhabit. And dangerous industries that make our way of life possible, such as agriculture, construction and fishing, are becoming riskier than ever as a result of changing weather. As extreme natural events become more common, it is increasingly important these industries adapt for the future. Stronger winds, more frequent storms and increased flooding obviously make life more difficult for anyone who works outdoors. Workers also might potentially face increased levels of heat and pollution exposure, which could be harmful to their health. But climate change won’t just potentially make existing workplace hazards worse – it will create new ones. In the construction sector, new building materials and practices may come with unanticipated health and safety consequences. The industry also faces the challenge of designing and constructing buildings and infrastructure that can withstand more stress from a changing climate. Parts of the world most affected will need infrastructure built to higher standards. In areas like California, where problems with drought and wildfires have grown dramatically in recent decades, resilient construction guidelines have emerged. In the Netherlands and Japan, for example, many car parks and spaces beneath buildings can store floodwater. Residential buildings have also been adapted to float on stilts if floodwaters rise. Buildings are also constructed to be more sustainable, with green roofs, living walls, and better energy efficiency to lessen environmental impact. Developing other innovative design strategies and techniques will help ensure building safety, but it’s important that worker safety is kept in mind. Finding novel solutions to more extreme weather will be crucial to increase safety in the fishing industry. Improved GPS, tracking, and better storm forecasting will help fishermen navigate more precisely, and better identify dangerous waters and conditions. Extreme weather also means more days’ work will be lost because of poor and dangerous conditions for fishermen globally. But if more ships stay in port because of extreme weather, this will have economic consequences on anticipated revenue and incomes. To limit this, the industry needs to increase training and preparedness to operate in bad weather, as well as investing in improved technological support, such as satellite-based geographic information systems and long-range weather-forecasting. The industry is already responding with efforts to improve scientific advice and data collection to predict weather systems and extreme events, and to better understand trends in fish stock populations and distributions. There are also attempts to improve vessel safety, port resilience, and reduce the vulnerability of freight while at sea. Warmer seas may also cause some fish species such as cod to move from their traditional habitats, often further from key fishing ports. 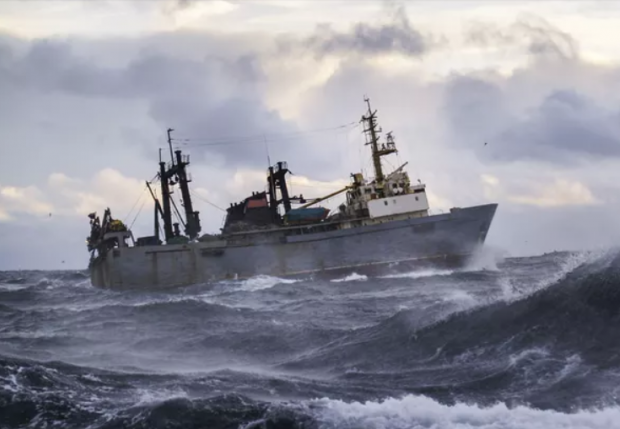 This creates problems for smaller fishing vessels that aren’t designed to navigate deeper and stormier waters. Better sat-nav systems are therefore essential to help these vessels operate safely. Increased levels of fish farming, meanwhile, will need to be rolled out in a way that minimises pollution caused by intensive rearing. The farming sector is at growing risk from greater flooding, not only because of extreme rainfall but because of growing soil erosion, which reduces the ground’s ability to absorb water, worsening flood risk. Lowland and coastal areas in particular might be more susceptible or even completely lost to saltwater flooding. Technological innovations will allow better monitoring of crops. Agricultural workers also face the threat of more heat-related illnesses, as well as greater exposure to pesticides and contaminated and polluted air. But the extent of this impact will be hard to forecast until we know more about the extreme weather patterns that may become the norm. It’s unlikely many of these problems can be halted, but it may be possible to develop new crops more suited to a changing climate, or pest and disease resistance. Researchers are already developing new strains of staples (such as maize) to adapt to these changes. Other new technologies, such as satellite imagery and drones can identify drought in crops, and target irrigation where it is most needed. Farmers are also being asked to change the way they use the land in order to reduce the environmental impact of agriculture. Extreme weather and climate change is becoming the norm, and these events are part of a long-term shift that will continue. The solutions to our situation will be in technical and engineering innovations, and in changing the ways we influence nature. We know these problems will only grow in their magnitude and effect, so it is essential we adapt for things we can no longer avoid.